Home / Art supplies / Stupendous, scintillating Stencilry ! Put simply: Artist Cellar make really cool stencils. Lisa and Michael Cousineau make high quality, reusable and very clever, versatile designs. So being invited into the Artist Cellar family as been a real thrill! Lisa and Michael gave me an open brief when they invited me to design my 4 stencils that went something like this: “we love you, we love your art, create what you want!”. But translating my detailed, colourful, volumistic work into a stencil took a bit of mind twisting, concentrated effort. I made my own prototypes and played and created with them relentlessly before submitting my designs. And I don’t mind telling you that I’m crazy in love with them! 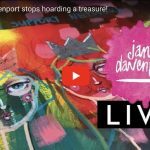 I have three online Schools and have taught thousands to draw and defy their own creative gravity. At the same time as I was thinking about what my stencil designs would comprise, I was helping my students work through some facial proportion lessons. And I could see a need for some teaching aids that could help decipher the landmarks of the face and really bring that learning along. 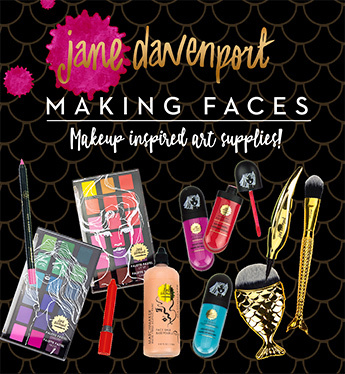 The Jane Girl Face set is perfect for that. In particular, three-quarter turned faces and profiles cause a bit of angst for people not confident with drawing them. I have a stencil dedicated to each of those scenarios. But my stencils are also superb for straight out creative experimentation and fun! With a stencil you get to ‘Audition’ your ideas before you commit… It all helps keep that sense of play with your artwork. I believe the longer I can stay ‘unattached’ to my artwork in its formative stages, the more life it will have because I am free to take risks, try things without fear of ‘ruining’ anything. So I use my stencil set to get ideas generating quickly, adding complexity and layers. The face shapes have my trademark ‘whimsically real’ proportions, but they are entirely customizable. They allow the users own artistic style to shine on through and act as idea prompts. The eyes stencil is designed so it can be used to just place a ‘window to the soul’ randomly in an artwork, or can be flipped to form a pair of eyes and start a face. I use stencils in art Journaling a lot. My art Journal is a field book of my life. Sometimes I want to catch ideas, memories and notions as quickly as possible and get them down on paper and move on. I’ve been using my stencil set to speed that process along. Rather than constructing a face from scratch, a pre-formed base allows me to get what’s on my mind flowing without judgement. 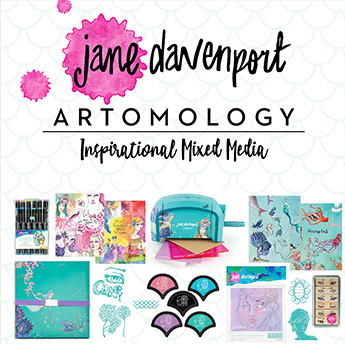 I’m so looking forward to seeing how my Artist Cellar Signature Range Jane Girl Stencil set is utilized by other artists. So, we are celebrating their release with an all- star Blog Hop! I invited some of my favorite Artists to play with the stencil set and see how they would use them… And they all said yes! 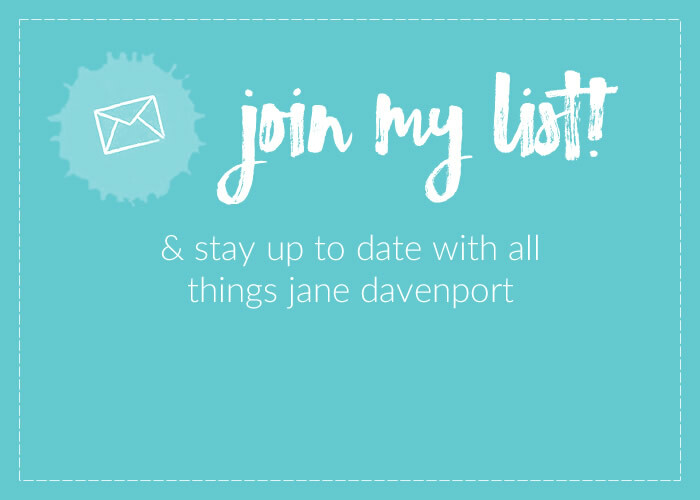 So on to the blog hop details – and yes, there are prizes GALORE! 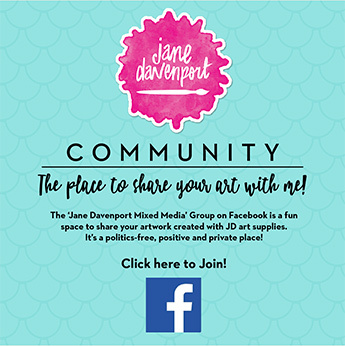 To exponentially multiply your chance to win a FREE set of my ”Jane Girl Signature Series stencils Join in on the post of eacg o my invited artists. Winner s will be picked by each artist and awarded at the end of the hop on March 12th. Today is Artist cellar, and tomorrow is the art Icon Teesha Moore’s and hop on down the list with us for the rest of the week. 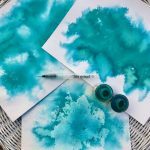 Each blog is giving away a free stencil set! Ready… Set… HOP! See you at each blog And back here on Monday 11th for videos, prizes and a finale Where I show,some,of the work I’ve been creating with my new stencils! DIY Journal Tapes! Journal Fodder Creating! I’ve always loved using stencils in my art. So glad to see new designs and ideas developing! I will definitely check out the other artwork. 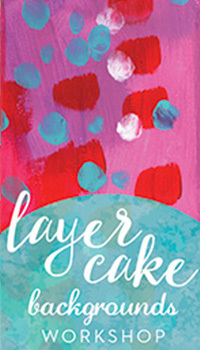 Neat idea for a blog hop. Thanks for sharing! 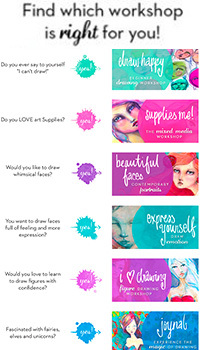 Love these stencils – just went to the top of my must have list!! Great work Jane, hope your going to have them at Rosehill, I’ll have to grab a set. We won’t be at Rosehill this year Sharon, but I will be at Darling Harbour in June- if you can wait that long! 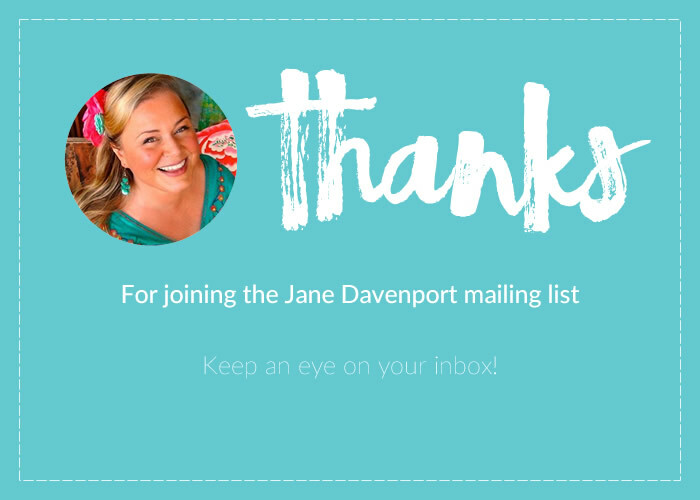 Congrats, Jane. Now everyone will get a chance to “play with you”……..LOL. Looking forward to what my friend, Mindy, is going to do with them. Glad you two hooked up. 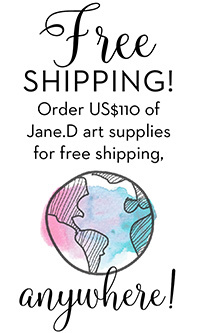 These are spectacular, Jane! I don’t really “need” these but I just bought them anyway! Want/need…is there really a difference? Yay Kate!they are pretty cool!